Hello!!!! You guys miss me?!! OMG! I do!!! And I miss my dear little laptop as well. It acted up early this week and I had it “quick fixed” so technically, I still need to really have it fixed this weekend. *Crossing my fingers* It’s so hard to be away from ze lappy for such a long time. Ugh! Another thing I miss is doing my #OOTD. 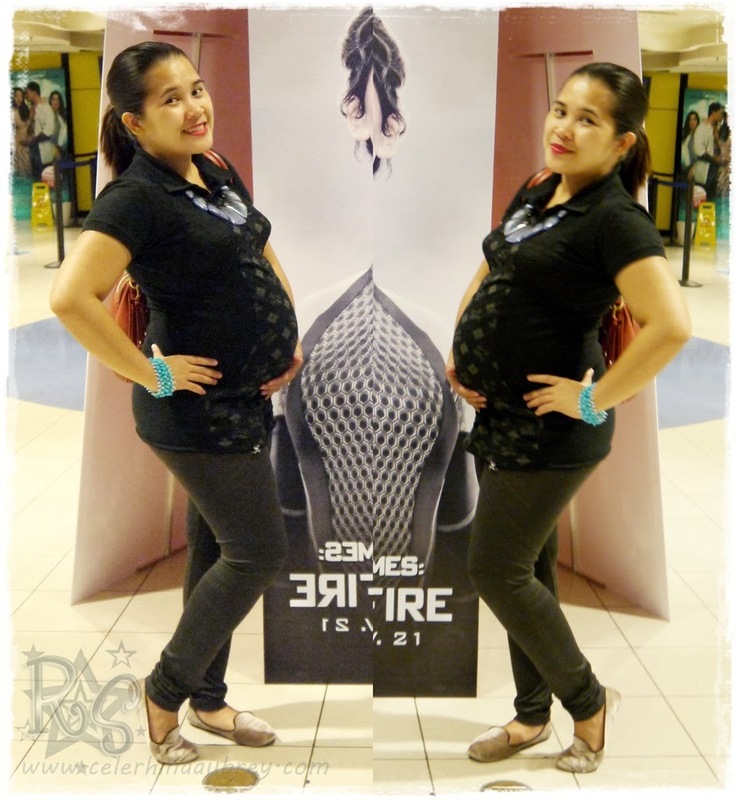 Di nyo ba na-miss ang maternity look ko?! And the baby bump? Which by the way doesn’t look so much of a bump now but rather a huge ball. But so much of that, let me keep you updated on the pregnancy on a separate post shall we?? Been sporting a lot of leggings and long stretch tops lately. I find them most comfortable and flattering. Remember those days that I’ve been telling you guys that I’m not really gaining so much weight? Friends are actually even telling me that I look like I even lost some weight if not for the belly. Well, now I’m taking all those back. The chubby cheeks and huge arms are back with a vengeance!! I look like a freakin’ baby whale!!!!! Thank heavens for an all-black outfit such as this one. At least I look a bit decent on the pictures. Tsk! I’m sporting loads of black and dark colored outfits lately and just add color and fun via my accessories like what I did here with the blue necklace and blue bracelets. I don’t wanna look too boring yah know! And flats are my bestfriend recently and I guess I’ll be keeping them for good from now on. Motherhood does that to you. Hehehehehe! So I’m building my stash of flats and cute sandals and loafers. Para naman after this pregnancy, I’m all set into being the gorgeous momma I’m aiming. So there you go! I’ll try to blog as much as I can okay? 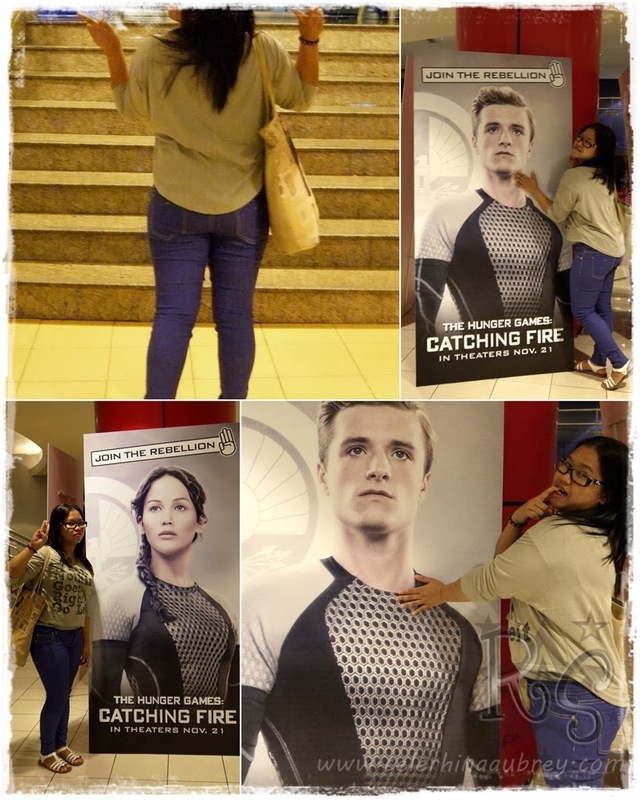 Or rather, camwhoring with the Catching Fire cast posters. Hahahahaha!! Ang hot ni Peeta syet!!!! !